Moshe Feiglin, head of the Zehut party, shocked participants at a Maariv/Jerusalem Post conference in Tel Aviv on Wednesday night. 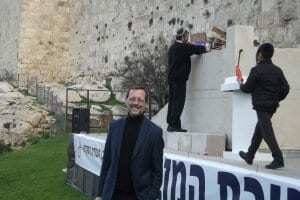 “I don’t want to build a (Third) Temple in one or two years, I want to build it now,” Feiglin said to the crowd. “To build the Temple I need support, I can’t do it alone,” he said in concluding his speech. The maverick Zehut party is steadily gaining traction in the polls under the banner of Jewish rights in the Holy Land, much to the chagrin of their left-wing opponents. A Temple Mount agenda is built into his party’s platform which calls to move government facilities to the Temple Mount and give the Chief Rabbinate authority over the site. Many have said that this is an extremist position which will lead to war, but Shmuel Sackett, co-founder of the party and one of its candidates for the Knesset, refuted these claims. Sackett said that his party’s name, which means ‘identity,’ had a special meaning in Israeli politics. He referred to the title of Benjamin Netanyahu’s book, A Durable Peace: A Place Among the Nations. “Israel is not like every nation,” Sackett emphasized citing Exodus. Rabbi Chaim Amsalem, number two in the Zehut list, responded to those concerns simply. Amsalem’s vision of unity is based on his personal experience. He is a former Knesset member for Shas, an ultra-Orthodox Sephardi party, but which draws from all aspects of Israeli society, unifying them all under one common theme; the Jewish state. “This is what brought me to join with Feiglin and everyone identifies with this,” Amsalem said. The Zehut party is composed of veteran political iconoclasts. Its founder, Moshe Feiglin, established the Manhigut Yehudit (Jewish Leadership) movement within the Likud party in 1995. In the 2012 Likud leadership election, his faction won 23 percent of the vote. In the 2013 elections, Feiglin was elected to the Knesset and served as its Deputy Speaker. In 2015, Netanyahu blocked Feiglin’s growing popularity among the electorate by placing him 36th in the party list, a position that made it extremely unlikely he would sit in the Knesset even if the party was successful in the elections. Feiglin chose not to appeal the move and left to form the Zehut party. Until recently, most media refused to list Zehut in polling results despite estimates they could win nine seats. Even the most conservative estimates are now sure they will pass the 3-seat threshold to sit in the Knesset. Considered quasi-libertarian, Feiglin is a strong advocate for increasing the availability of medical cannabis and approving its export. The party has been lambasted in the press for its pro-medical marijuana platform, a position the left-wing media usually promotes. The real animus from the left is due to an issue that Feiglin explicitly stated he will always place foremost in his politics: the Land of Israel. Unlike other political parties which make this claim, Feiglin has a long history of fighting against abandoning land that gives strength to this campaign promise. His personal attachment to Jerusalem is undeniable, as he frequently ascends to the Temple Mount and has attended every Temple reenactment. Feiglin has fought for this belief. In 1995 he led mass protests against the government signing agreements with Yasser Arafat. 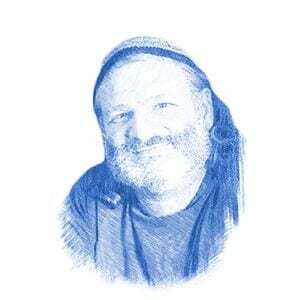 He was sentenced to six months imprisonment for sedition against the state by an Israeli court. The party’s manifesto includes canceling signed agreements with the Palestinians, making Arab-Israeli citizens pass a loyalty test and offering financial incentives to them to emigrate elsewhere if they refuse to accept Jewish sovereignty over the land. He has also called for Israel to annex the West Bank as a solution to the conflict.